There have been several versions of this board. 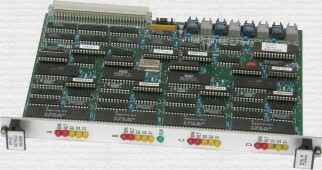 This board is the version with the fibre optic interfaces directly mounted on the VME board. 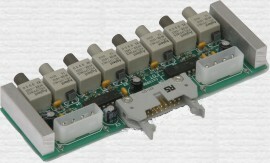 Other versions have the interfaces mounted on a remote board with a RS422 connection. We can normally provide a new or refurbished board, if one is required urgently. However boards are normally only available when there is demand to build a minimum batch.